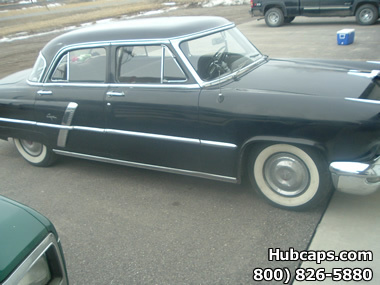 Thanks for visiting the Mercury Classic Car Showcase page. 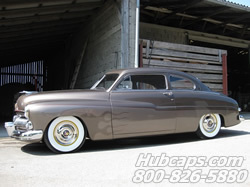 As you learned already, Hubcaps.com does some of the most astonishing restoration work in the business and recently, we decided to put some of these success stories on display. The Mercury marque itself has been around since 1938 as a division of Ford and has produced a variety of different body styles, with a huge range of wheel covers. Hubcaps.com itself has been collecting different model hub caps since it's birth in 1979 and because of these, our stock includes over one million hubcaps from the 1940's and up. This includes a lot of different classic Mercury hub caps that have found a home on some of the beautiful vintage cars that we have listed below. Please feel free to browse and thank you for your interest! 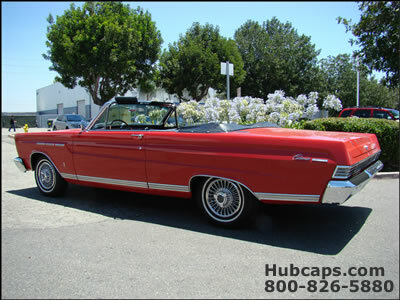 Check out this customer's rare 1965 Mercury Comet Caliente Convertible with its original upholstery and restored wheelcovers! This vehicle has traveled a long way to its current home in Southern California and you can read its story by clicking right here! Don’t miss out on the opportunity to see a truly special vehicle! The 1950 Mercury 2dr. Sedan lives in Austria but it has beautiful new Oldsmobile wheel covers from Hubcaps.com in Southern California. Click to see more!